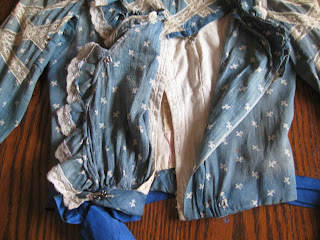 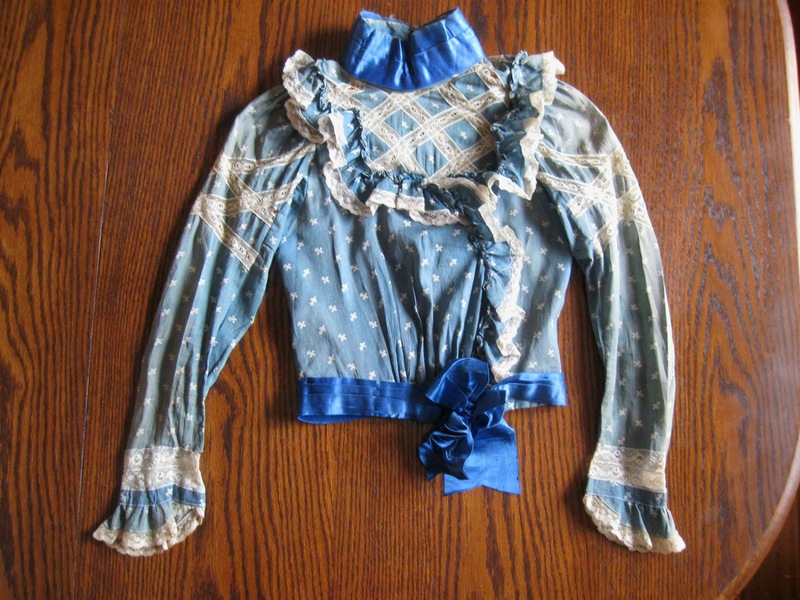 A rare find for the collector, is this antique Victorian era French cotton bodice. 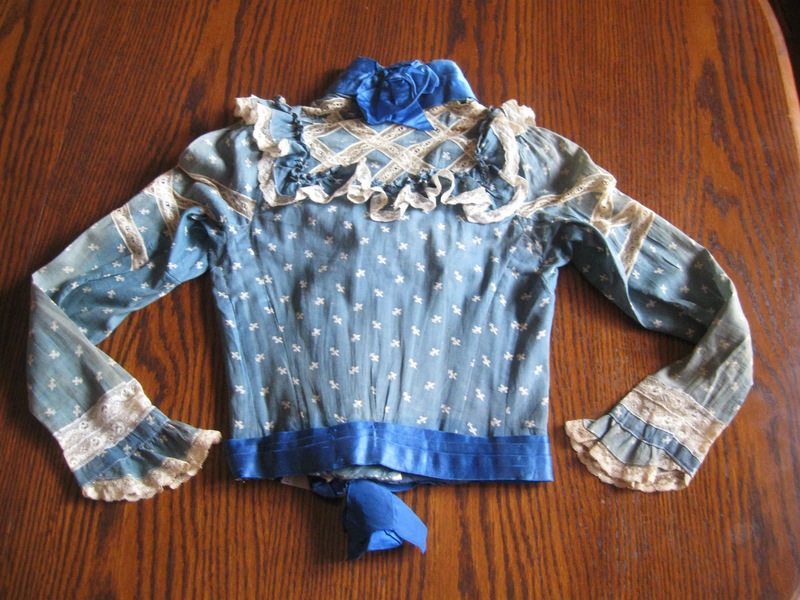 This would have been for a young woman or older child, perhaps teen aged. 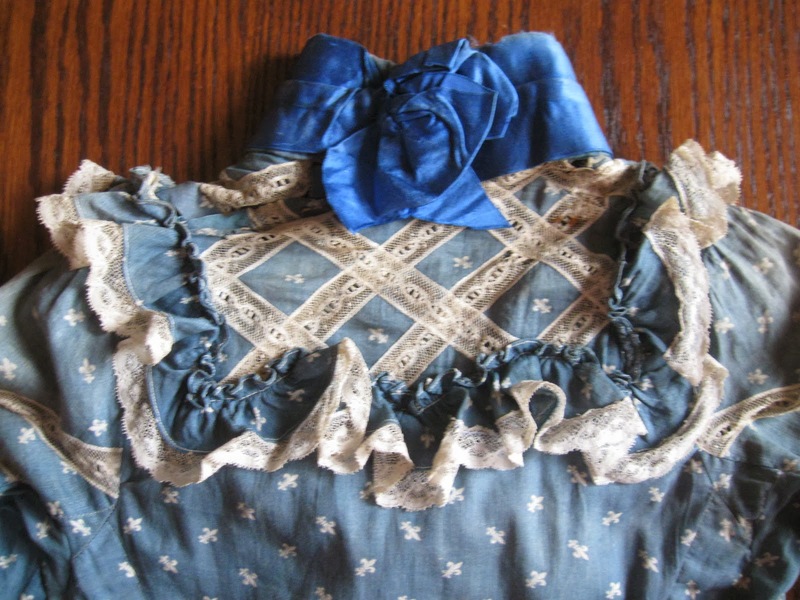 The fabric is a nice French blue cotton with fleur-de-lis pattern. 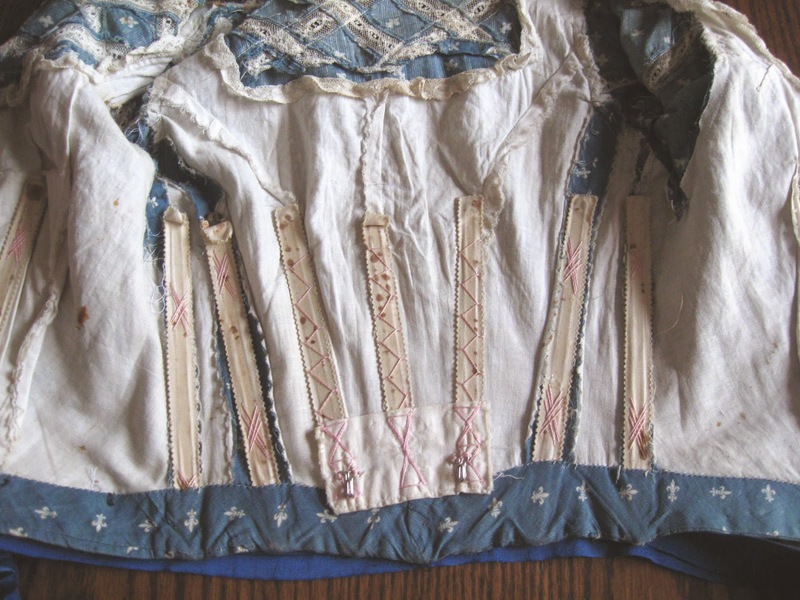 As can be seen, there is lots of ruffling and inserted valenciennes lace giving this bodice a beautiful appearance and lots to work with should one decide to salvage for antique doll costumes. 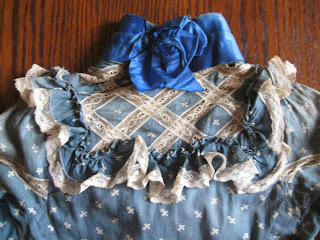 A coordinating lace edging is also used for trim as well as royal blue satin silk ribbon. 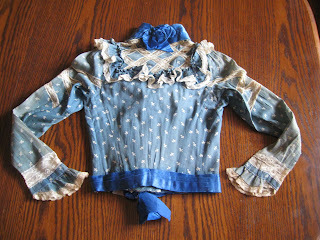 In the last two photos one can see the cotton lining, it closes up in the front separately from the outer bodice fabric. 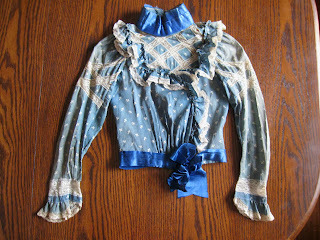 Fading out of color in some areas to lighter. 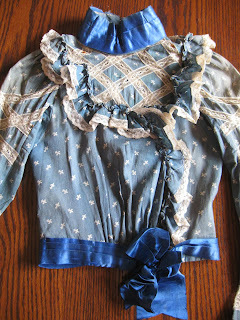 See full condition above. 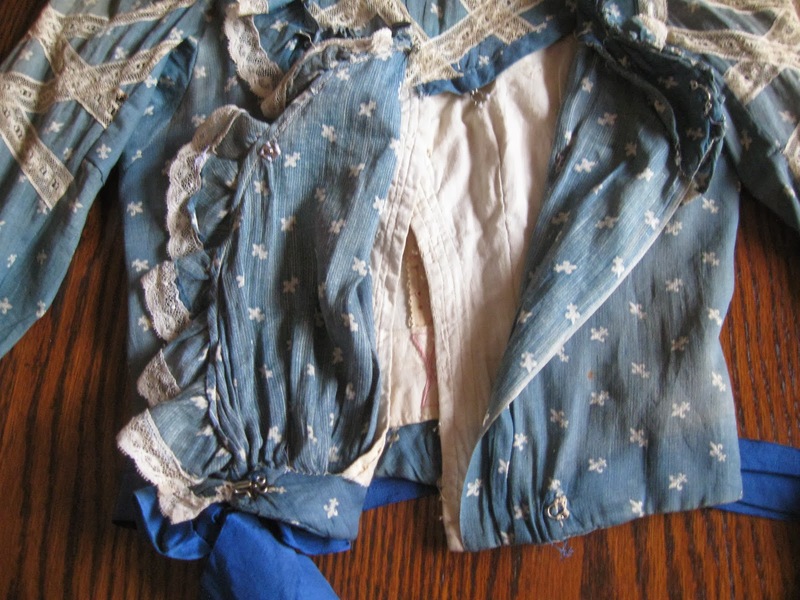 This is listed for the collector or for one to salvage and re-purpose into authentic era doll costumes, not for wear. 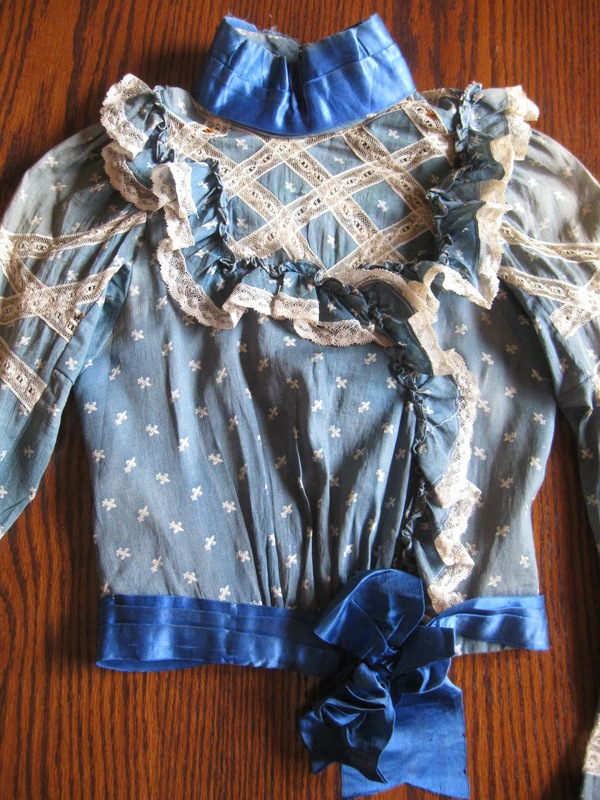 Across shoulders, 10"---Across front at underarms, 14"---Sleeve length, approximately 20"---Bodice length, approximatly 16"
I think this is a very early Edwardian based on the styling.